It’s easy to get on a bus, tram or metro train to witness all there is to see of a city from the glistening window, but did you know there are many other ways to see the city? If you wish to spend a day away from your Spain holiday rental and explore the city by land, air or sea then read on! Go Cars are a fun alternative way to see the city. They are small, yellow two-seater cars with an talking computer that assists drivers with navigation. They mainly follow two routes: either the upper districts of Barcelona or the Gothic Quarter and Raval neighbourhoods, then onto the mountain of Montjuic. You can, however, customize your own route should you wish to. The speed limit on the Go Car is just 72 kilometers per hour (45 mph). If you wish to be driven instead, then flag down a Trixi. A Trixi is basically a tricycle with its own driver. They offer short distance trips and can be hailed on the street just like a taxi. If you prefer an aerial view of the city, then there are many helicopter trips available for a view from above. Ideal for a special occasion, take to the skies and discover this fascinating city from the air. It’s a wonderful way to capture some memories with your camera and experience a thrilling helicopter ride! If viewing the city from the sea is more your thing then try Europe’s biggest eco-catamaran, the Eco Slim. 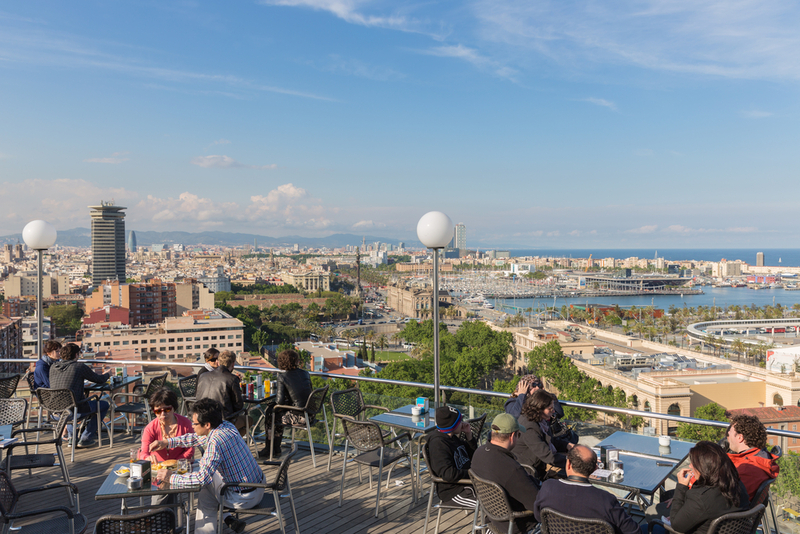 It sails year-round allowing you to discover the magnificent Barcelona waterfront and the coastline of Catalonia. Each trip lasts around 45 minutes with a commentary in English, Spanish and Catalan. The perfect time to head out is at sunset or during a festival where you can watch the fireworks illuminate the city. However you wish to explore Barcelona, whether by Segway, bicycle or even by jet ski, there is always something to suit everyone in your traveling party.